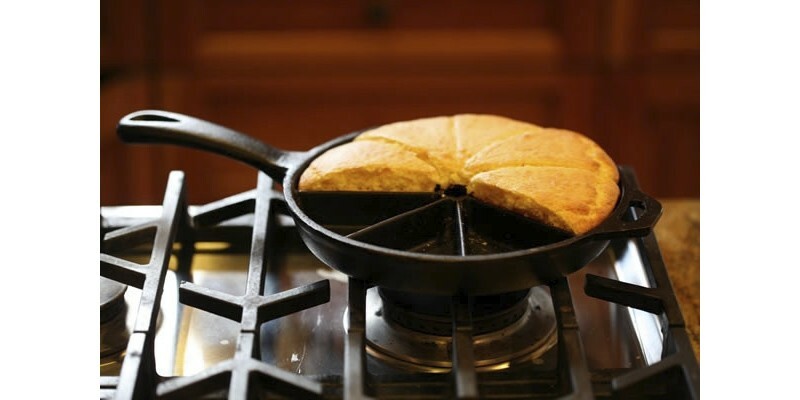 Baking your favorite bread or treat has never been so easy! 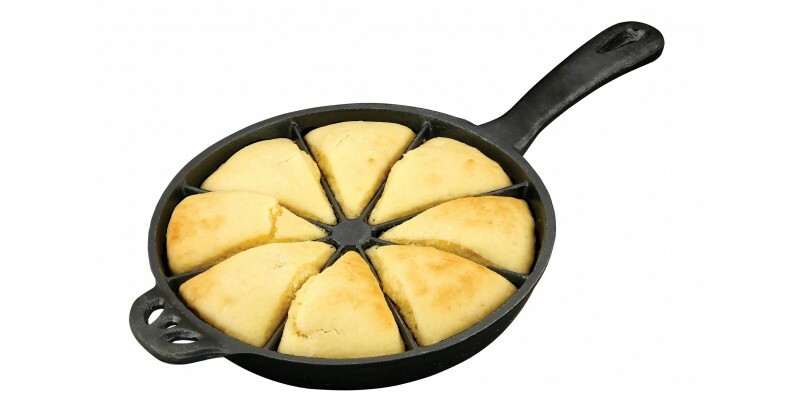 Our new true-seasoned cast iron corn bread slice pan offers 8 wedge-shaped portions. No cutting required! Just bake and serve. 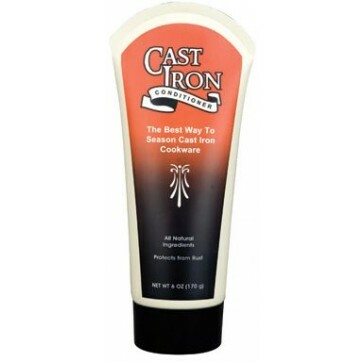 The handle allows for easy maneuvering. 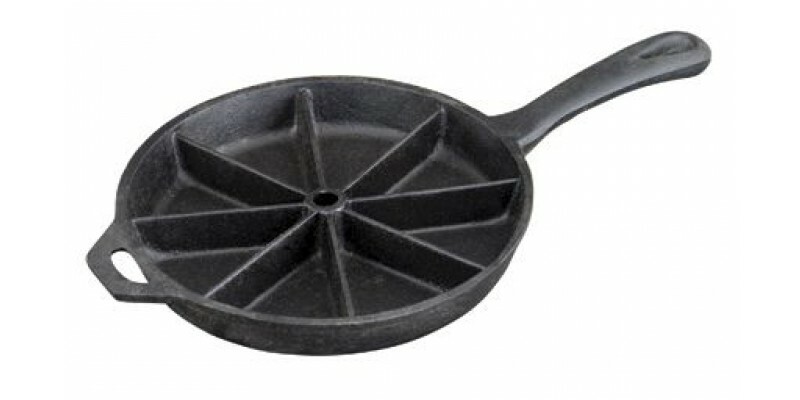 Pan is 9" in diameter and is 15.5" long from handle to handle. Ready to use right out of the box!